No matter what kind of data you have, Hadoop has an incredible processing power that virtually handles unlimited tasks altogether. The network of developers employs this application around the globe, understanding its far-fetched potentials. Hadoop has revealed unbelievable positive change at professional levels. You can download its free version and avail more commercial versions to gain further benefits. Its best part is that it can even run on low-cost computers facilitating the users with incredibly high speed. 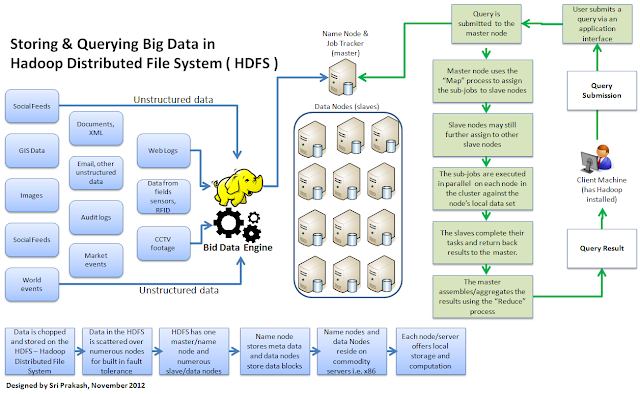 Why Hadoop is successful for storing Big Data? The answer lies in its ability to hold great deal of patterns, associations, trends etc making it process any amount of data in a fraction of second. No matter, how much fluctuation arises in volumes and varieties due to maximum number of users engaged in Social media networking websites, it works immaculately at all the times. Its computing power is mind-blowing. Despite unlimited computing nodes you use at one time, its processing power remains faultless. The user does not require processing the data before storing (ex. unstructured images and videos). Hadoop ensures that data does not encounter hardware failure while processing. In case of failure on one node, the data gets transferred to the next node balancing the computing distribution. Apart from those multiple copies, it is also useful in storing of data. All those who want to expand their system need to add more nodes, making little discriminations. 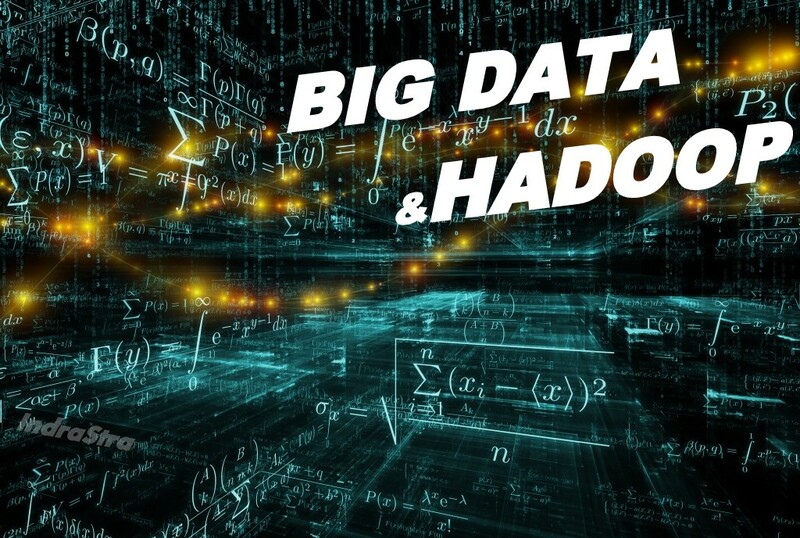 How Big Data can be stored in Hadoop? 1. Use simple commands to load files. HDFS employs multiple copies of data blocks to distribute across various nodes. 2. A shell script runs multiple “put” commands to speed up the process of loading multiple files. 3. For downloading email at frequent intervals, cron job should be created to scan the directories and put them in HDFS. 4. Flume should be used to load data into Hadoop. 5. Third party vendor connectors like SAS/ACCESS is also used. 6. Sqoop should be used to import structured data to HDFS, Hive and HBase through relational database. How SAS supports Big Data and Hadoop? SAS supports Big Data implementations helping you make quick decisions, regardless lof the technology you use and how. It includes data preparation, data management, data visualisation, data exploration in analytical model and data development. It also provides enticing opportunities for data deployment and monitoring. How Hadoop transforms possibilities into incredible opportunities? With the assistance of SAS, the most intricate Big data challenges like data management, data visualization and advanced analytics can be easily sorted out with Hadoop. Why Hadoop is a hand-picked choice of most of the organisations? Low cost storage: The reasonable cost of this commodity software is one of the biggest reasons for its popularity. It stores and combines all the transactional data, social media statistics, sensor records and scientific information that user might want to analyze later. Hadoop has the ability to handle unstructured data faultlessly: Storing huge amount of raw data into EDW or any particular analytical store can be facilitated easily via Hadoop. It can offload historical data from EDW too. Data Lake: Hadoop is usually used to amass the huge data without the limitations introduced by schemas. Schemas are found in SQL based world that is a low-cost compute cycle platform. Refined outputs can be easily passed on to other systems like EDWs or analytical marts. Hadoops can run analytical algorithms: On Hadoop, big data analytics deals with various shapes, sizes and volumes of data. It assists in uncovering enormous new opportunities leading to next level of competition. Facebook, Netflix, Hulu, eBay are some of the largest analytical users of Hadoop. They analyze huge amount of data in a fraction of second predicting preferences before the customer leaves. So, use the framework of Hadoop and enjoy the computed architecture scale at its peak.